Turns out that Salt Lake won't work out as well as I thought because by giving up Alaskan Residency I also lose the pfd (and there's a lot of steps to getting a commercial license out of state). So assuming I pass a DOT physical, and get accepted, and get a loan, I should be in. According to craigslist there is a lot of demand for local drivers. My mom just mentioned a truck driving school in Palmer, Alaska. She lives in Wasilla, which is very close. It also does heavy equipment, so I might not have to relocate just yet afterall (which would be hard to do given my current state of funds). I also like the high road training thing, wish I had that when I was going for my driver's license way back, because it still took me a couple of tries even with a lot of studying. By schedule I mean how flexible would they be in choosing when I get to go down and start training? The companies that do company sponsored training, how do I get ahold of them? How likely would I be to get in to a sponsored program? MCT looks interesting because they say they offer dedicated routes to their veterans after awhile. I don't mind lower pay as a form of reimbursement. Seems quite fair to both parties. Also how flexible would they be in my schedule? 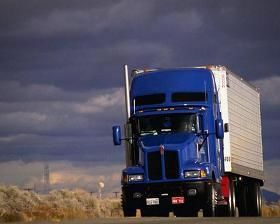 So, um, I haven't really looked through the forum a whole lot to know what has been and hasn't been asked but I have been looking into getting a cdl this past week or so and just have a few questions regarding this process. I'm also not sure how to organize this so it might be a bit jumbled. Sorry. I applied to roadmaster seeking information (it was late, didn't realize it was a school), they called me the next day and said it was an interview or something (I was heading to work, had just gotten in, was still groggy), and told them a different time would be better. They called me wednesday and talked to me about a bunch of stuff, went over the medical questionnaire and asked for my driving record (it's clean, just submitted it to them) and they are doing a background check on me now. They're trying to get me to go out to Salt Lake City, Utah, as early as July 15th to do a three week course, and they're also saying that they don't take people unless a job is guaranteed. From what I understand, there is a job placement service and you're sort of free to choose who you wish to work for (and there's a bunch of companies). Currently I live in Alaska and have been going to college to get a degree in computer science. It's been going well except for the mathematics portion which has held me back. I have trouble passing the later part of calculus. I'm also about 60k in debt and a little behind on a few of my bills now. I was working part time over the school year but that eats away at savings. Getting down to the lower 48 for a good job and relocation seems like a good option to me given that. I don't have a lot of money, and I've heard there is financing available. How does that work? And would that cover housing for the time being while doing my training? Also, with my computer science background, what should I tell other truckers if my education comes up? I was looking into seasonal construction earlier to pay for school and a friend was telling me if anyone asks why I was working to just tell them that "I was doing it to help pay for classes" because if I disclosed that I was pursuing a CS degree the construction workers would get jealous because "I have something [most of them] don't", or something like that. I'm not trying to imply that truck drivers are dumb (if anything, I think it would take a fair bit of intelligence to drive a truck skillfully) but I just want to know what I should expect. Also I did get an email from roadmaster saying that I have to fill out a pre-hire application with usexpress. They sent me the form. What does this mean exactly?